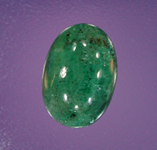 Emeralds were found in southeastern Yukon in 1998 near the town of Ross River on what was known as Regal Ridge. Prior to 2001, very little had been done to explore this property. A new mineral exploration company, True North Gems Inc., began its life in May 2001, and was originally committed to explore for emeralds on Regal Ridge. True North Gems conducted exploration programs in 2001 through 2007 to evaluate the emerald potential of this property. 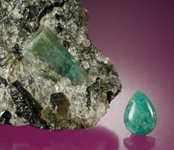 As exploration progressed this emerald discovery was named the Tsa da Glisza deposit. I've been very fortunate to be included in the early stages of this project as one of the company's directors and as a field geologist. True North Gems has since expanded its search for coloured gemstone and conducted additional exploration in Yukon, Ontario, Nunavut and Greenland. 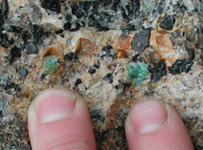 In the spring of 2003 True North Gems began preliminary exploration on an emerald property in northwestern Ontario, near Dryden, called the Ghost Lake property. In 2004, True North Gems conducted a bulk sampling and geological mapping program. I have been fortunate to be involved in this project as well.